Sourced from the Canadian shoreline, mako shark meat is fairly neutral tasting -- not too fishy, not too oily. GT takes the legal-to-eat white meat, slices it, and places it in a roasted-garlic marinade before grilling. 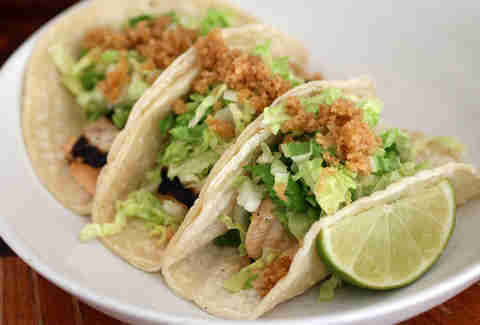 While the meat in GT's fish tacos rotates seasonally, the fillings don't: napa cabbage, chipotle aioli, lime, and chicharrones (it's almost unfair how many foods are improved by fried pork rinds). The shark version of its delicious handhelds is only on-special through the end of Shark Week (Saturday, August 16th). 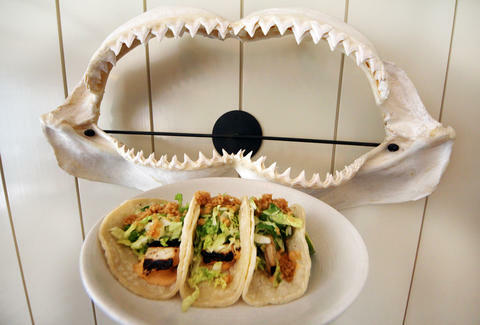 Even though ominous bass music will play in your head as you prepare your first bite, shark tacos are actually pretty damn good -- especially the smokey char of the shark (which tastes a little meatier than swordfish), and the complementing tanginess of the aioli. Spray on lime juice or some of GT's house-made "Burn" hot sauce, and you've got a legitimate fish taco challenge on your hands. But couple that with the fact that this might be your best (/only?) opportunity to eat shark without having to deal with the ethics of shark fin soup, and this Shark Week sojourn is a borderline must-do. 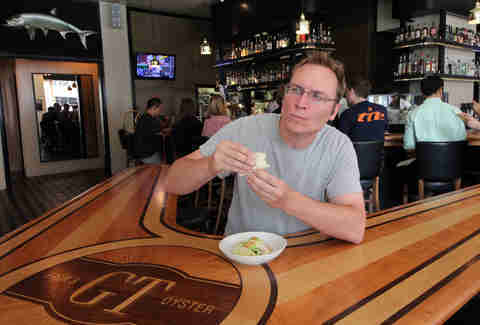 Sean Cooley is Thrillist's Chicago Editor and was the owner of too many Street Sharks action figures as a child. Follow him @SeanCooley.